and trusting in their own capabilities. Does This Sound True For You? Overly emotional and most of the time can't understand why they are feeling this way. Always needing to know what the 'Plan' is and needs to feel in control of the situation causing disharmony within the family. Constantly focused on what could go wrong and worrying about future outcomes. A high achiever either academically or in the sporting arena and is extremely critical of themselves - feeling like they are not achieving enough. Frustrated at school and may even have a diagnoses like dyslexia or ADHD and you worry that they are not going to 'succeed' at School. Constantly seeking assurance from others. Comparing themselves to others - and constantly watch what others are doing and try to measure up to them. Anxious and fearful of making mistakes because they have such high standards of themselves which magnifies their anxiety. self-doubt and overwhelm and not know what to do to support them. them, it affects your entire family. self- doubt and anxiety to feeling confident, self-assured and trusting in their own capabilities. After going through my own dark and challenging time in my life, I was hit hard by my then 7-year-old son being bullied at school. Motivated to heal myself and my son, I spent many years on a personal investigative journey to discover many new concepts, tools and techniques, including energy medicine, that could transform my pain and the pain of my son. These specific tools and techniques are now part of my family's daily rituals and routines. Now I am in a different place - I parent with confidence knowing how to guide my children to their own answers and using everyday situations as learning experiences. Both my children are thriving feeling self-assured, confident, happy and are wise beyond their years. I was happy to use these techniques with my own family and Private Clients that were referred to me - then I received news from my sons School that a young 13 year old student in his year level had attempted suicide. This absolutely devastated me as I felt the pain of the parents and the pain this darling girl must have felt to try and end her life. In that moment I decided I needed to share these tools and techniques with more parents and children and this course was developed. I want you to benefit from these techniques too!! When you follow the invitation to delve deeper – prompted by whatever is presenting in your child’s behaviour or experience, you will never regret it. I am sharing these techniques and rituals that have transformed my child’s life with you. I have created the course I wish was available for my son and I during that time. I have taken everything I have learned over the past 20 plus years drawing from my experiences as a Registered Nurse, Diabetes Educator and Child Self-Esteem Coach plus studies in Energy Medicine, Emotional Freedom Technique (EFT), Reiki, Yoga and the Chakras. And From these studies and my own experiences, I have been able to distill the information down into a course that is straightforward, grounded and a practical guide for you and your child. My own highly intuitive children have also helped guide me with the creation of this Program. This course removes the confusion, fear and overwhelm that your child is experiencing now and replaces it with clarity, confidence, self-assurance and simple Rituals that they love and embrace as part of their daily lives. "Totally FABULOUS course!! EXCEEDED my Expectations!! This has taken away from our children their own ability to identify and understand what is their own truth – what is right for them and to feel, know and trust in their inner wisdom. They are being stripped of their own self-worth. They don’t need to be anything other than who they are right now…. These constant demands and expectations that are placed on your child are contributing to their anxious state and depleting their Self-Worth. Your child's nervous system is extremely sensitive to energy, so if you learnt different ways for your child to process this energy in their bodies – you would not only reduce their anxiety, but create so much more harmony within the home and establish a beautiful connection with your child. Is a unique program that will radically transform your child's life. You will learn new concepts and simple techniques you can integrate into your daily life right now to reduce anxiety and have your child feeling confident, connected, self-assured and passionate about their lives - while contributing to your family's overall peace and harmony. The 4 Key Elements that are essential to support your child in reducing anxiety for good. Simple techniques to assist your child in moments of heightened anxiety that create peace and calm within minutes. The 3 Techniques you MUST implement before you can make any changes to your anxiety levels. Tools and Techniques that assist with learning, focus and concentration in the classroom. Techniques that help you feel grounded, centred and balanced when you and/or (your child) is emotionally triggered. How to boost clarity and productivity as your energy system comes back into balance. Simple techniques that reduce anxiety, overwhelm and stress during challenging moments in your day. Techniques that reduce built up tension in the nervous system and calm your child within seconds. How energy flows through your body and how to know if your energy is blocked and out of balance. These videos will guide you through the work and the concepts for each module so you know exactly step by step the objective of each module and the action steps you need to complete for that particular module. There are also Education Videos to help with learning new concepts and techniques. 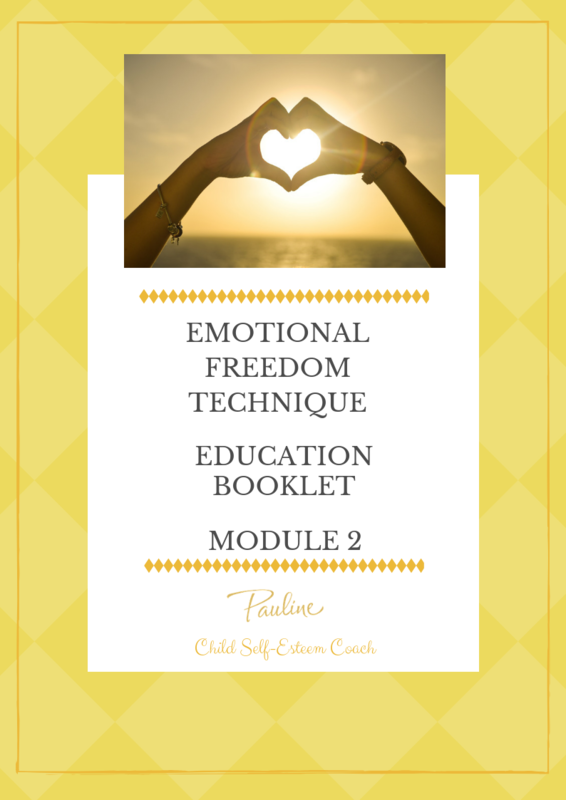 These worksheets are both educational and action orientated to help you to start implementing the various tools and techniques that will guide your child towards a calm and confident life. In these weekly hour long calls I will dive deeper into the content for that week and I will answer specific questions around the work. In BONUS Week 7 the Live Call will focus on creating rituals so you and your child will be able to implement all the techniques and tools you have learnt throughout the course, into your daily lives for long term results. I will also give an overview of the entire course and content where you can ask questions. That is fine. Just email me any questions and a recording will be loaded into the member’s area. So you can listen and learn while you are going for a walk, taking the children to sports or having a cuppa. Techniques section with short concise videos that demonstrate each technique plus Guide books for more detailed information. 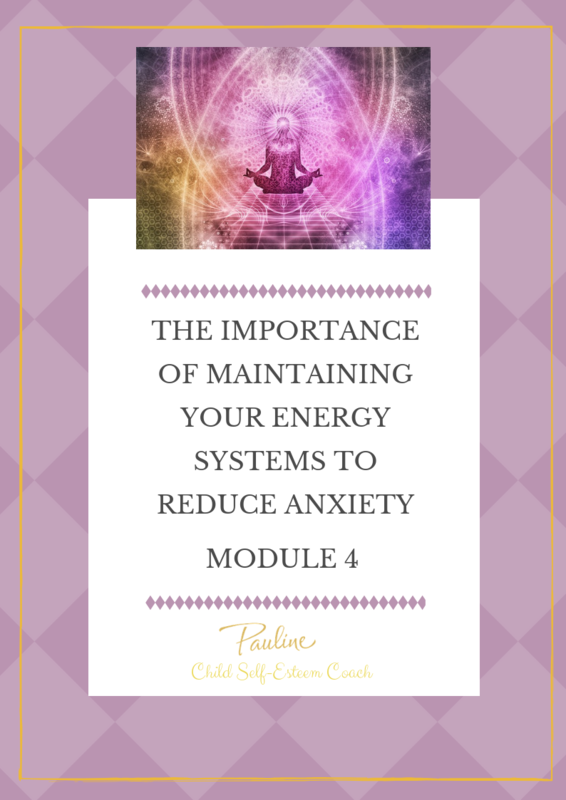 These guide booklets go deeper as to why and how each technique is so beneficial in transforming your child's energy plus a written step by step guide for exactly how to implement what you have learnt. These powerful meditations are accompanied with Guide Books to go deeper and compliment each new Module. I will be hopping into the facebook community/forum to do regular FB Livestreams to take you through specific activities, expand on themes for the week or answer questions and generally connect with you. Everything is designed so that you can access your lessons from anywhere in the World on any device with only an internet connection. 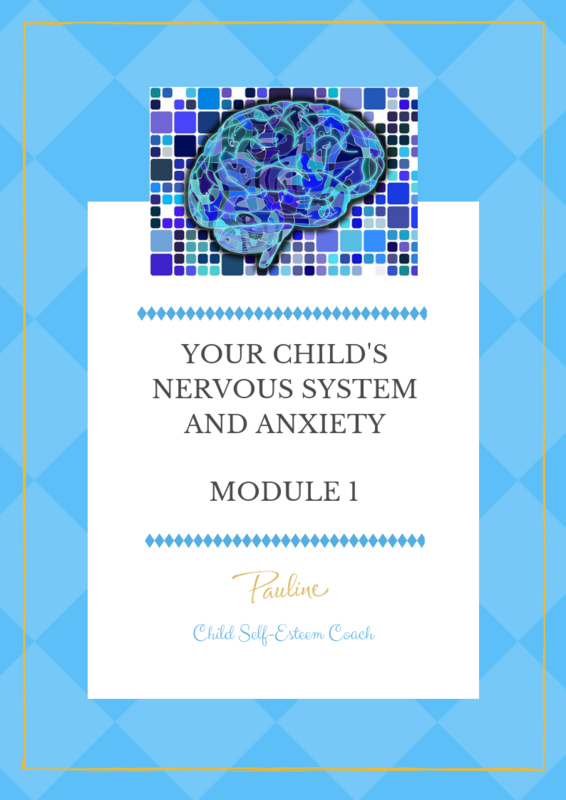 Before you can try and resolve the issue of your child’s anxiety, it is so important for you to understand why your child has an increased susceptibility to anxiety and the effect of anxiety on your child’s body specifically their Nervous System. This gives you a good solid foundation in understanding how and why all the energy techniques work so well for your child. 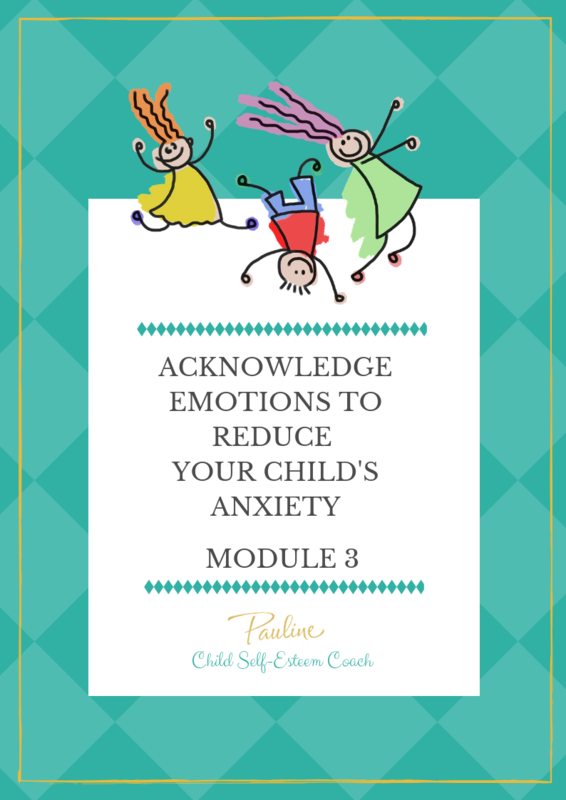 You will be introduced to the Essential 4 (four) Key Elements that support your child suffering with Anxiety. First we need to declutter your child’s mind chatter! Uncovering and clearing the limiting beliefs that are causing the repeating patterns of anxiety and creating new, more empowering beliefs that support your child moving forward. This is how you ‘raise your child’s energy’ Increasing your child’s vibration and also their self- esteem and confidence. 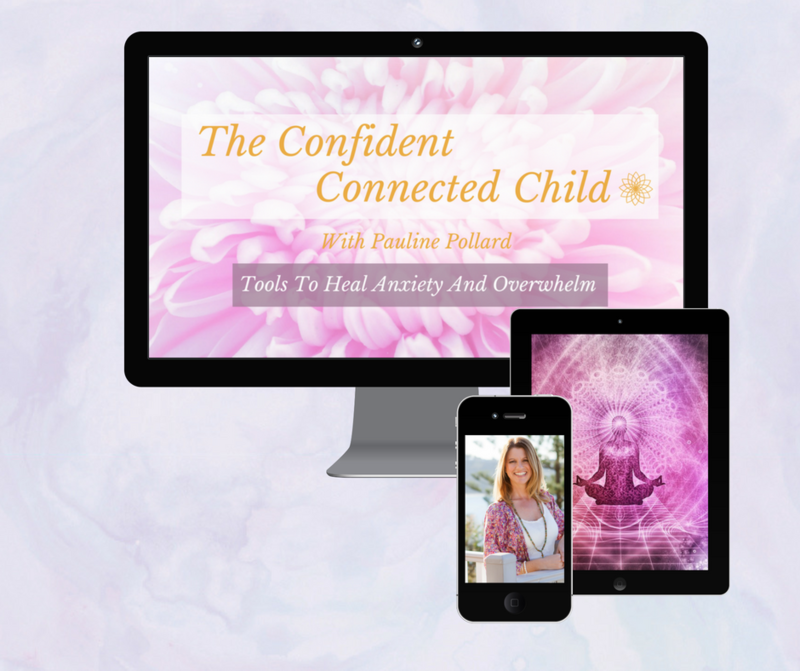 You will be introduced to a simple but powerful technique that is used worldwide to help reduce the symptoms of anxiety, reduce overwhelm and stress and shifting your child's energy to calm, peace and clarity by working with their nervous system. what emotions are and how to deal effectively with your child’s emotional outbursts. You will have the tools and techniques, plus a step by step ritual to help your child manage their anger and anxiety in quick effective ways. Plus learn an easy technique that releases emotions in less than 90 seconds without the drama! reduce these episodes and create an incredible relationship with your child. You will be introduced to techniques that tap into your child’s creativity and guide them within to understand how their body is communicating to them. You will also have a greater understanding of how you may be contributing to these outbursts and what to do about it. This Module is purely experiential!! It is time to really get the Energy flowing! You will learn techniques that will uplift and energise your body as well as calm and cleanse the nervous System. You will learn the importance of energy flowing freely through your body and how to know if it is blocked and what to do about it. You will have a greater understanding of the benefits of 'Energy Medicine' to uplift, clear and cleanse your body's energy system to create balance and harmony. You will learn the 3 important processes you MUST implement before you can truly release anxiety. Techniques to calm your child's over-stimulated nervous System that will reduce anxiety symptoms. Quick easy techniques to aid focus and clarity in the classroom and also assist with focus, balance and coordination in the sporting arena. Specific Energy Techniques to use during challenging events throughout your day when specific outcomes are needed to maintain that uplifted energy and mindset. 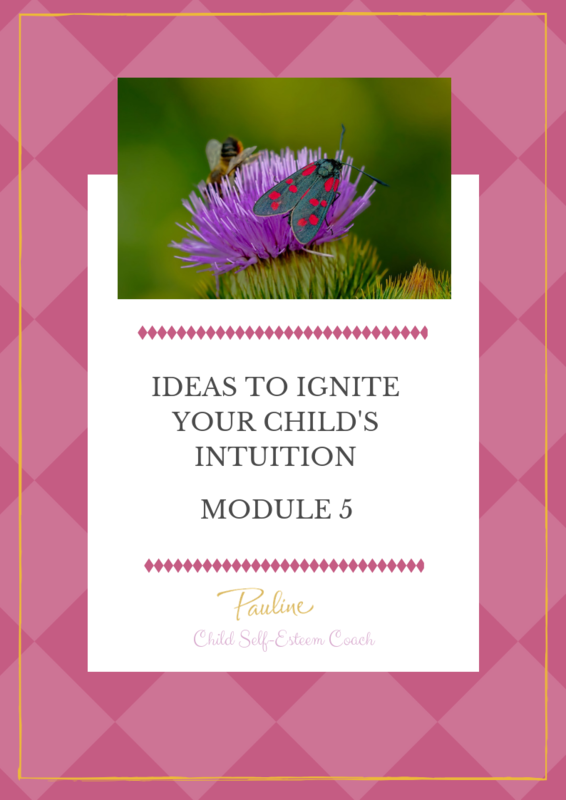 You will learn techniques that ignite your child’s intuition and guide them to connect with their bodies for their answers within. 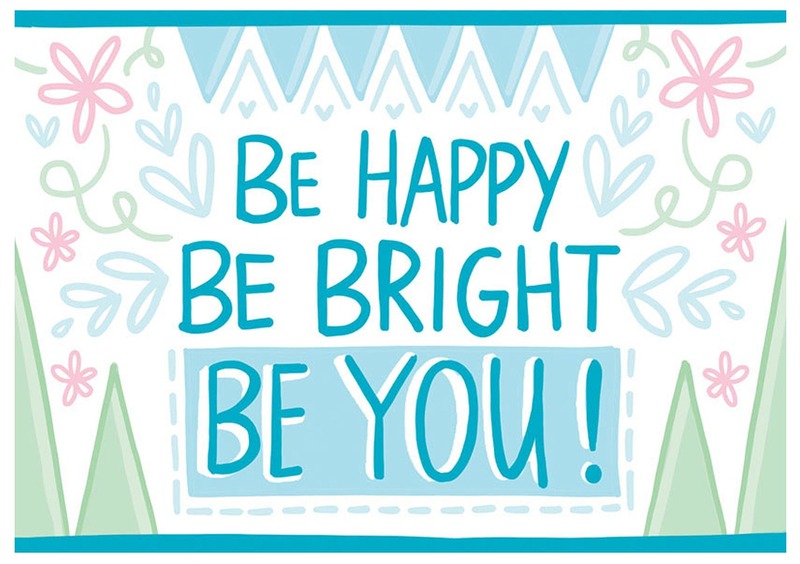 Learn the powerful link between imagination and creative visuals and your child’s ability to connect to their inner confidence and reduce anxiety. Learn how to help your child discover their inner message so they can feel inspired to pursue their dreams and solve their own problems. You will have a greater understanding of how to honour your child's uniqueness and help guide them to their truth. This is when they can confidently express who they are without feeling any external pressure to be like everyone else. Experience the power of gratitude and why it is so important when it comes to releasing fear and anxiety and building confidence. Learn techniques that ground your child in the present moment to practice mindfulness and align them to focus on the miracles in their life. Learn how to help your child to embrace the concept of ‘serving humanity’ and ‘giving back’ as it allows the flow from within of compassion and empathy that benefits everyone. Learn how teaching your child to give and help others actually helps to improve the quality of their lives and ways they can start to do this right now! How Contribution is the wonderful side effect of a child who feels worthy, confident and grateful. Weekly Q&A calls to answer your questions about that week’s Module content. ​All the Energy Techniques which are proven processes that clear and balance your child’s energy within minutes are located in this special section for easy access. Each one with a short demonstration video plus gorgeous complimentary Guidebooks that delve into detail why these techniques are so powerful and yet simple to transform your child’s life. These are easy and fun to use and your children will love them. They engage their imagination, intuition and leave them feeling confident and empowered. This is where you create simplicity in your life and your child’s by introducing Rituals into your daily life. You will receive a Guidebook that will help you understand the Power of Rituals in creating powerful changes in your child’s;’ life. 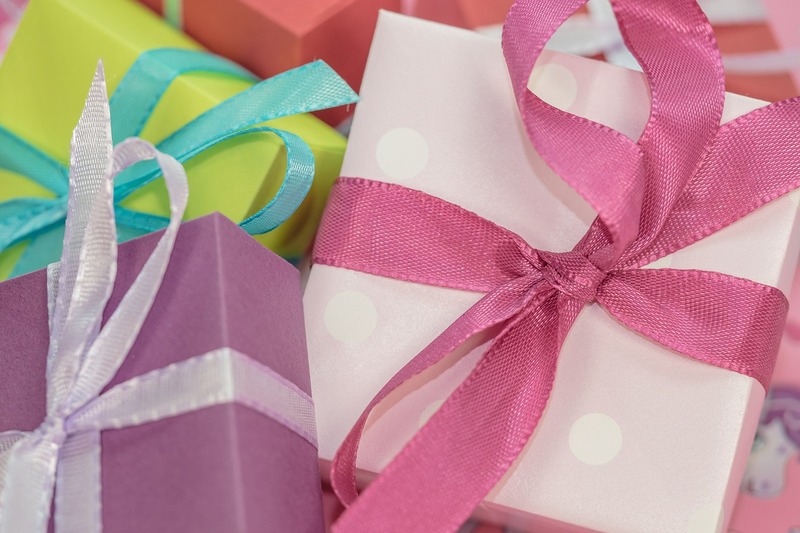 I then gift to you several Powerful Rituals that can be used on a daily basis and during times when your child may be experiencing specific issues such as; during stressful situations, emotional outbursts, before exams or even great for kids to use before bed for a great night’s sleep. 5 Guided Meditations that are an incredible course within themselves! These five (5) meditations will create incredible change in your child’s life with each meditation building on the next one for a transformation healing experience. They each have their own Beautiful Guidebook that complements the intention of each meditation. ​Private Facebook Group which is an awesome community of women who support each other, encourage and nurture – cheer and celebrate with you. And during challenging times, they are there for you to support you through when you are feeling vulnerable. This community is one of the keys to growth and expansion. Support and interaction during the 8 weeks of the live course. ​This Bonus final Q&A call is the perfect finale to ensure long term results and positive outcomes for you and your child! We will be focusing on an overview of the entire course and content where you can ask questions PLUS I will reviewing all the new techniques and tools you have learnt throughout this course and giving real life examples of everyday situations which show you how to use them in your daily lives for long term results. I understand the 'Confident Connected Child' Program may sound very different to any other course or book you have read. And in fact, i am very happy that is the case. If you have tried other courses and your child is still struggling, then things need to change. You ca​n't keep doing the same thing and expecting a different result. This workshop taught me how to tune in to myself and to help me when I feel down. This was AMAZING - I don't want to leave!" I loved learning techniques about how to deal with anxiety. My favourite was Let The Venom Out!! I feel so much more confident now! "The Workshop was AMAZING!! Don't change ANYTHING!!" "I loved the Energy Techniques and Meditation. I feel so happy and relaxed and want to come back!! "Before I met Pauline, I had lost sight of who I was and what was true for me. I was always frustrated, overwhelmed and would have regular emotional outbursts. – No matter what I tried nothing seemed to get better. My life was complex. ​Pauline was very intuitive and knowledgeable and knew what I needed before I even knew – the techniques she uses are extremely effective and you can see and feel the results instantly. 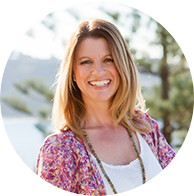 I Loved the EFT (tapping) and would recommend it to everyone – It helped clear the negative patterns that were blocking me from seeing an issue clearly. This ability to think clearly has positively impacted my decisions and therefore changed my experiences and how I perceive the world. I LOVED The meditations I found them really useful when I became frustrated or need to clear my mind chatter- they instantly made me feel calm and relaxed. I am in tune with my inner wisdom- what I need and what is best for me. I can centre my energy and know techniques to not pick up other people’s low energy and how to cleanse my own nervous system. ​ I really loved the techniques that centred and grounded my energy because as a person who can easily pick up someone else’s energy, I am likely to forget that it doesn’t belong to me – I was also able to cleanse my energy easily. Techniques during exam time were great to calm me and help me to focus. So many techniques I can use anywhere and anytime! I would recommend Pauline’s Program, Absolutely! I am yet to meet a more knowledgeable, intelligent and caring professional. The help she gave me was immeasurable and I cannot thank her enough. I utilise her guidance and wisdom every day and basically her program has changed the way I approach life. I am ever so grateful for my mum stumbling upon her." what you and your child need. 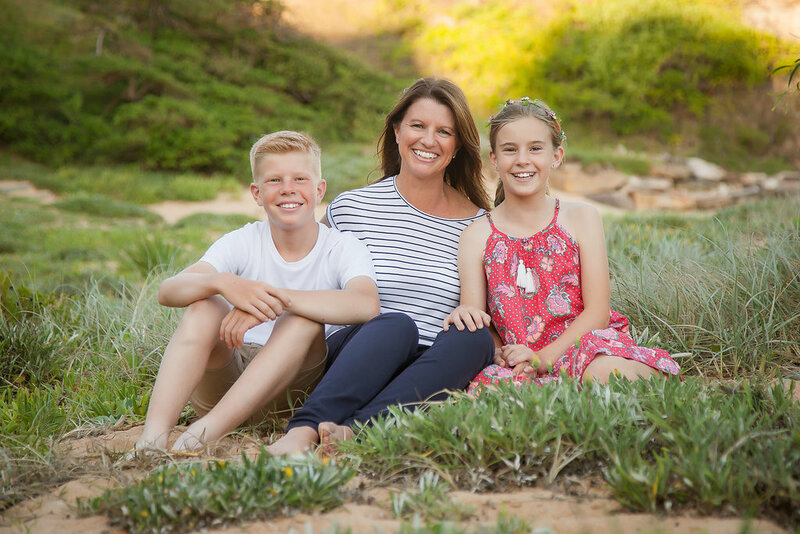 I stand by the Confident Connected Child Program with the absolute confidence that you and your child will love it. I am confident in the life changing and transformational effect this course will have on you and your family. As long as you are prepared to commit 15 minutes a day to assist your child in reducing their anxiety then you will receive immense value from the Heal Your Child's Anxiety And Overwhelm Program. 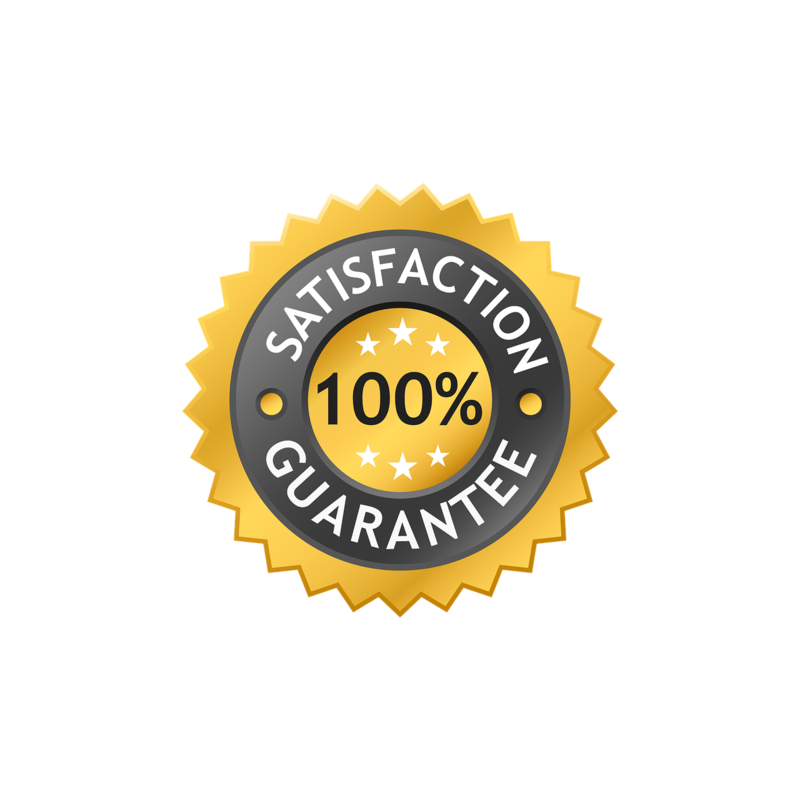 If, however, at any time during the first 30 days after purchase you don’t feel this Program is for you, then I will refund you your full investment. My daughter and I loved performing the Energy Techniques and incorporating them into our daily routine. My daughter thrives on doing these techniques consistently - she is intuitive and loved all the energy work- she is often my teacher now! I loved Pauline’s approach in showing me how to assist my daughter to go within to listen to the ways her body communicates to her. I will always cherish how Pauline came through for me when I was doubting myself. Her detailed and truthful responses were what I needed to hear. I felt understood and supported as Pauline really stepped into my world. She knows her material so well and speaks with ease – it flows straight from her heart so you can’t help but receive the message. I would recommend this Program to ALL parents not just those who have big issues with their child. Thank you sincerely Pauline, it has been a wonderful journey and you have been the best mentor ever! You are a true beacon of light to all parents and I feel confident my daughter is so well-equipped to go on her own journey. "With the tools and techniques Pauline gives, I have really seen my son’s confidence grow. My son is going from strength to strength, growing in confidence and is a much happier child. Pauline introduced me to simple yet incredibly powerful tools, techniques and beautiful Rituals that allowed me to discover and learn what was going on in my son’s world. Pauline gives so much in her program and you literally have at your fingertips so many tools, techniques and rituals to choose from when challenges arise. * Video Class, that will guide you through the work and concepts for that week. * All video's, Audio's, Workbooks, Guidebooks, Techniques and Meditations for that particular weeks Module. I DON’T HAVE MUCH TIME WILL I BE ABLE TO KEEP UP WITH THE WORK? I have designed this course so that it will be as easy as possible to fit in around your daily life. I totally understand the demands of busy family life. Each of the weekly video classes run for no more than 10 minutes. The audios are no more than 7 mins long which you can download to your computer desktop, tablet or smart phone. The education books can be read at your leisure which are short and straight to the point – no fluff. Technique videos are 3mins long and the Guide books you can view at your leisure. Plus, all of the Live Call recordings can be downloaded on to a mobile device to listen to at your own time. That’s totally ok. The work is released weekly, but you can take the course at your own pace if you need to. The modules are designed to build on each other week by week, so where possible I would recommend you complete the work within the set week it is released. Rather than pressuring yourself to catch up, just take it at a pace that suits you. Before the course begins, choose a day and time that you will review that week’s module information – schedule it in your calendar. Schedule all the live call times and if you cannot attend live then schedule the time to review the recording. DO I HAVE ONGOING ACCESS TO THE COURSE? WHEN ARE THE LIVE CALLS HAPPENING AND WHAT IF I CAN’T ATTEND? The Live Calls will run on Thursdays at 10.30 am (Sydney, Australia Time). If you cannot attend live it is no problem. You can submit a question in advance related to that particular weeks Module and I will cover it in depth on the call. The recordings will be available after the live call for you to download and keep. I AM NOT BASED IN AUSTRALIA DOES THAT MATTER? No, that is fine, this is an online program, so you can access it from anywhere in the world. IS MY CHILD TOO OLD OR TOO YOUNG FOR THIS COURSE? In the 'Heal Your Child's Anxiety And Overwhelm' Program it is not just watch and listen program – it is an implementation program. The transformations happen in the action steps and practicing the simple and effective techniques for long term change. The Program was initially developed for ages 7 -17 years, however the techniques and strategies are universal. So, children as young as 2 years old can commence the techniques with assistance from you. And your teenagers can embrace the course themselves and run with it. These are skills and techniques that will benefit them throughout their entire lives. This Program is an investment in your child’s wellbeing. When you consider all the other items you buy for your child, I believe this is one of those items you know is essential.